The construction equipment industry - which includes manufacturing, distribution and maintenance companies - has shed a staggering 37 percent of its workforce since the equipment market peaked in 2006. At 37 percent, the unemployment rate of the equipment industry is twice that of the construction industry as a whole and more than three times that of the general economy. By comparison, auto manufacturing and dealership jobs are down 16 percent, while job losses in the finance and insurance industry amount to 6 percent of their workforce. 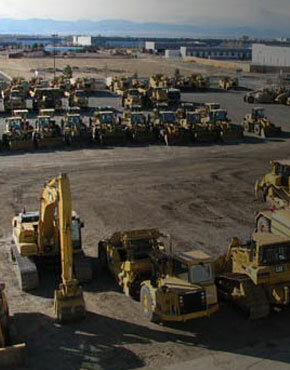 Spending on construction equipment has fallen by more than 50 percent compared to its peak in 2006. The economic output of this industry has contracted by nearly 40 percent and resulted, directly and indirectly, in the loss of approximately 550,000 jobs. In other words, eight percent of all jobs lost since the start of the recession have been associated with the equipment industry downturn. Over the course of the recession, losses to industry sales and employment have decimated taxes paid on employee income, corporate profits and sales of machinery; the magnitude of the decline indicates that tax revenues associated with our industry have fallen by $12.8 billion.